We're on the eve of destruction. No, some radical church hasn't pronounced tomorrow the day of the rapture. Tomorrow is the start of NHL free agency, usually a time when general mangers forget their plans for spending money wisely and istead go money drunk. Because the salary cap took a huge jump and this year's crop of free agents is terribly weak (think, Ville Leino might be the second best UFA forward if we don't count Teemu Selanne), some teams are going to drop huge cash on 10 goal scorers. What's most frightening is that the Rangers have over $20 million in cap space. 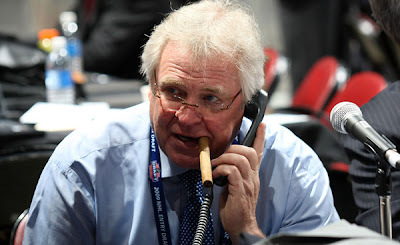 Glen Sather shall pronounce "$7 million contracts for all!" To keep you occupied until tomorrow at noon, you can read my latest post over at The Good Point. 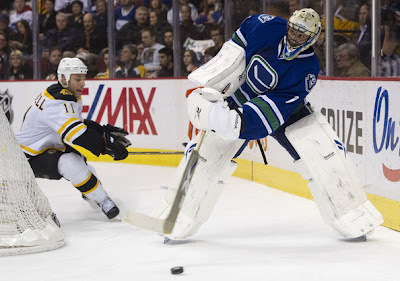 This week's article focuses on the state of goaltending in Canada. It's a dark time for Canadian goaltenders. Carey Price might just be the best Canadian goaltender and he was being routinely booed last season. That's not reassuring. The 2011 NHL Entry Draft weekend was totally overshadowed by two mega-deals pulled off by the Philadelphia Flyers. 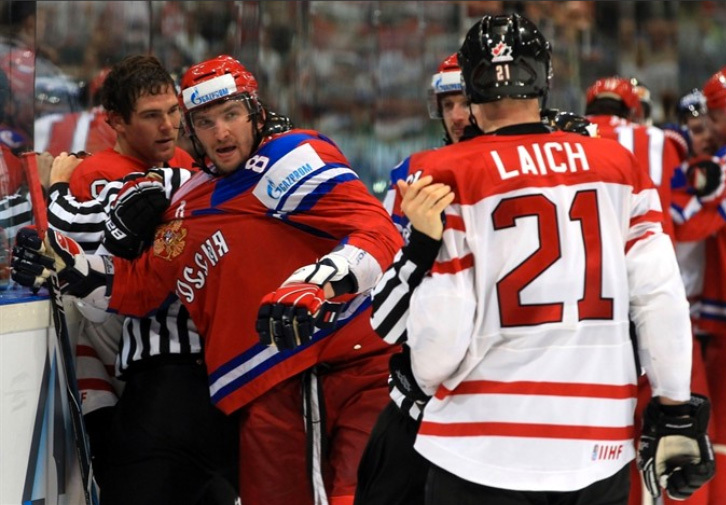 Out are Mike Richards and Jeff Carter – two players who both thought they would stay in Philadelphia for their entire careers; in are a handful of highly touted prospects. The deals allowed the Flyers to finally acquire a legitimate goalie, one who is a Vezina Trophy finalist. Other deals rose more than a few eyebrows: Brian Campbell, once thought definitively untradeable, found himself dumped in Florida for a former prospect turned big league bust; and Calgary jettisoned both Robyn Regehr and Ales Kotalik for a couple of spare parts in Buffalo. The Brian Campbell deal is easy to understand: the Florida Panthers needed to reach the cap floor and still have about $20 million to go, even with Campbell’s $7 million cap hit. They could hypothetically offer Brad Richards a max contract and require further money wasting. Alternatively, the Robyn Regehr deal represents everything wrong in Calgary. 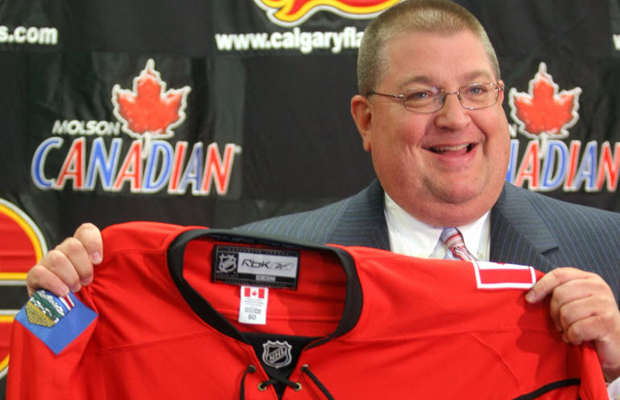 The pursuit of a number one centre will be Brian Burke’s top priority this summer. Of course you already know this because Brian Burke isn’t shy with his opinions and the Toronto media loves to run wild with any piece of informational nugget that Burke throws them. There are a few options for the Leafs, each with their own positives and negatives. On Wednesday night the world saw an ugly side of Vancouver. After losing to the Bruins, a couple hundred people, who the police are now describing as organized anarchists masquerading as Canuck fans, started rioting in the streets of downtown Vancouver. It wasn’t a very good representation of Vancouver, which is a beautiful city. The next day the citizens of Vancouver took to the streets to help the clean-up effort. Those are the real people of Vancouver. 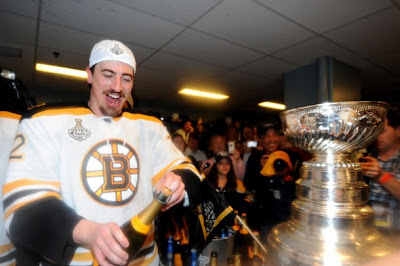 Amidst all the mayhem, there was a celebration occurring in the Bruins’ locker room after their impressive series clinching victory. The shots of Kaberle dousing his teammates in champagne made my heart feel good. The cars on fire outside? Not so much. 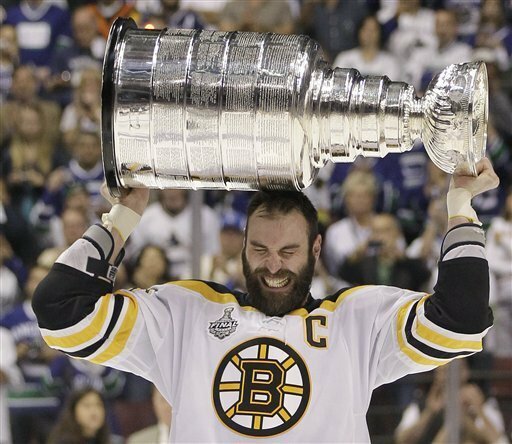 Not many people (myself included) gave the Bruins a shot after they fell 2-0 to the Canucks, but they rallied back like they did all post-season and became the only team in Stanley Cup history to win three game 7s. Well, that’s the season. It was fun. I hope you enjoyed it. I guess we’ll all be on our merry way… But wait, there’s the important matter of handing out some hardware for the deserving few who excelled (and a few that didn’t) during the playoffs. Without further ado, here’s the second annual Five Minutes For Fighting Playoff Awards. I have a new article posted at The Good Point that you should all check out. Today I'm discussing how difficult it is to repeat as Stanley Cup champions, especially in the cap era. Specifically, I'm looking at how likely it will be that for either Boston or Vancouver to make it back to the Stanley Cup Final next season. Here is the link to the article. It should kill some time during the day while you wait patiently for tonight's (hopefully) exciting game 7. 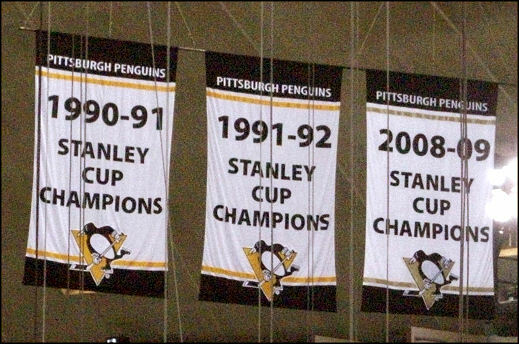 There isn't anything better in all of sports than a game 7 in the Stanley Cup Final. I can't wait. The Leafs’ desperate need for a true number one centre isn’t a secret. Tyler Bozak was incapable of handling such a role, which isn’t surprising considering he was entering his first full season as an NHLer. Only in Toronto would the media ask whether Tyler Bozak was a true number one centre. Of course he wasn’t! He was the Leafs' only option in what was still a re-building season. With Brad Richards all but gone from Dallas, there is a true number one centre with star quality available come July 1st. The Leafs have ample cap space and Brian Burke is known to covet star players. Richards seems like a perfect fit in Toronto, but the Leafs won’t be the only team vying for the former Conn Smythe winner’s services. Both the New York Rangers and LA Kings have plenty of cap space and a need for a number one centre as well. Look for the price tag to sky-rocket if these three teams start trying to out-bid each other. 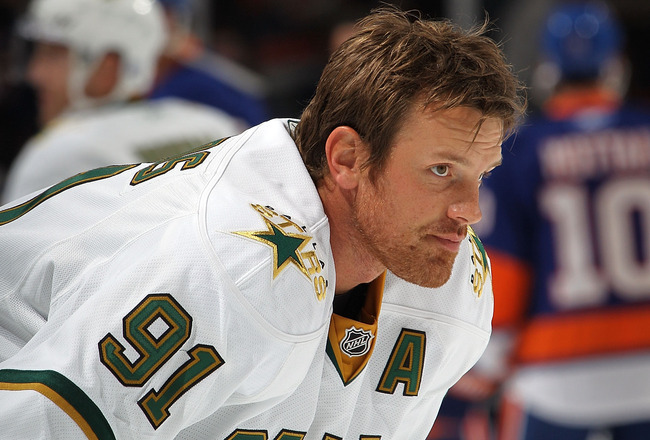 If the Leafs do indeed sign Brad Richards, Tyler Bozak will receive third line duties. His ugly -29 rating doesn’t really scream third line centre and his advanced metrics (from Behind the Net) don’t really disprove that notion. Bozak did score 27 points in 37 games during his rookie season before struggling for long stretches this past season, so there is hope that he can rebound with a strong 2011. However, Bozak is already 25-years-old and maybe his offensive game won’t develop much further. Is he going to fall into the dreaded void in between the second and third line where he’s not offensive enough to play in the top-six, but not defensive enough to play in the bottom-six? If the Leafs decide they aren’t prepared to experiment with Bozak on the third line there is another centreman available that could fill in nicely. Remember, if you want to keep up with Five Minutes for Fighting you can do so on both Twitter and Facebook. Yesterday’s report that the Rangers intend to buy out the final year of Chris Drury’s contract signals the end of yet another Glen Sather mistake – something that is becoming a regular occurrence in New York. For the past decade, Glen Sather has essentially dug a hole in the ground and thrown millions and millions of dollars into it. If there was an aging superstar entering free agency you could be sure that Sather was the most persistent suitor for their service. Even if there wasn't a superstar available, Sather would pay someone as if they were a superstar. Now the hot rumour is that the Rangers are going to fall over themselves trying to sign Brad Richards to a lucrative contract. It almost seems unfair that a team can give someone a $7 million contract seemingly every season and wiggle out of these commitments when it becomes apparent they made a terrible mistake. (Note: my faux-outrage really stems from my yearning for the Leafs to sign Brad Richards). What’s confusing is that aside from spending money, Glen Sather is an adept GM. Sather has shown an ability to acquire superstars for close to nothing. 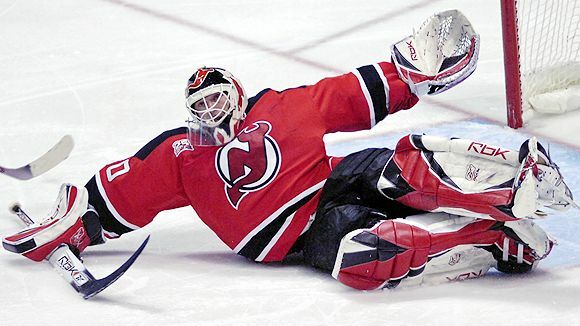 He brought in Pavel Bure for two prospects and three draft picks that accumulated a mere 33 games in the NHL; Eric Lindros for Kim Johnsson and spare parts; and Jaromir Jagr for Anson Carter. Injuries curtailed Bure's time in New York, but he scored 50 points in 51 games. Lindros suffered a similar fate, but still gave the Rangers a 70+ point season and a 50+ point one. Jagr was the true steal, scoring 123 points his first season (the 3rd best total of his career), 96 in his second, and 71 in his third. In total, Sather brought in close to 500 points for a bag of rocks. Sather has also finally started building a solid young core of players that includes Brandon Dubinsky, Ryan Callahan, Marc Staal, Derek Stepan, and others. Plus, he seems to find takers for some pretty unattractive contracts (which we’ll discuss in more detail later). 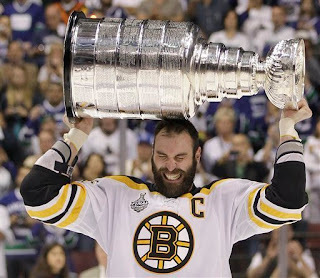 This is also a man inducted into the Hockey Hall of Fame. He’s clearly great when given all-world talent to work with. He won four Stanley Cups with the Oilers in the 1980s and played a major role in building team Canada for the 1984 Canada Cup, 1994 World Hockey Championship, and the 1996 World Cup of Hockey. However, his Hall of Fame induction was in 1997, three years before he became this free spending maniac GM. Enough with the pleasantries; you’re reading this for a juicy trash session. Here are the (current) worst moves of the Glen Sather Era. Remember, as long as Sather has money to spend as the Rangers’ GM, this list is a work in progress. I love history. I love thinking that one little thing could have dramatically changed everything that followed it. Maybe that's one of the reasons I love the concept of time travel as well. And because we're talking about time travel we may as well talk about the greatest time travel movie of all-time - Back to the Future. Where is all this going? 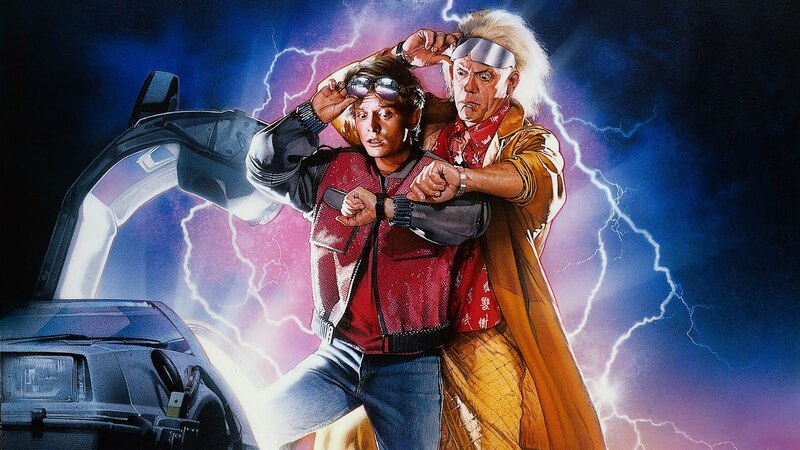 Really I just wanted to put a picture of Back to the Future up, so the preamble really only serves that purpose. But my latest post at The Good Point was published today and I examined what a Stanley Cup Final between the Sharks and the Lightning would have looked like. Alternate history. Dig it.